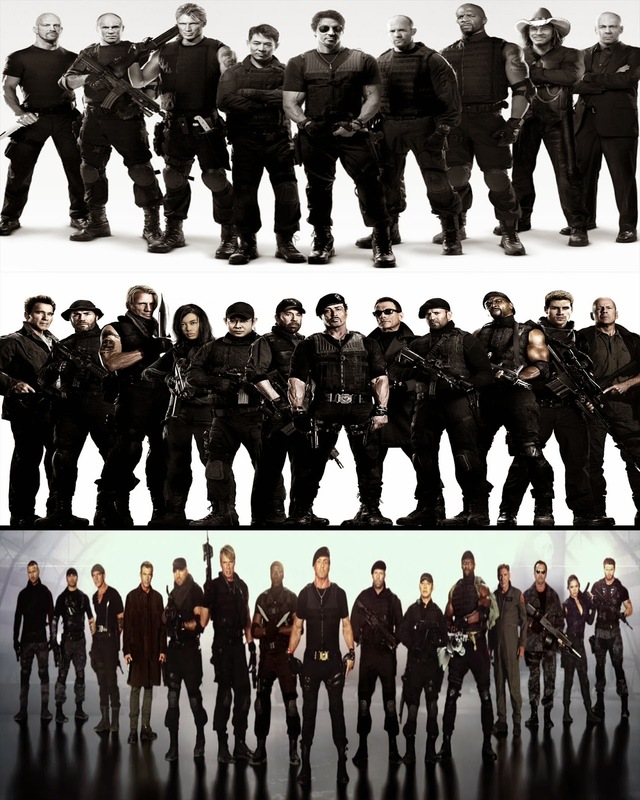 Ah the Expendables, remember them? After three films and nearly $800 million dollars at the world wide box office, talk of a 4th chapter has cooled after part 3's tepid response. While just about every notable action hero from the 80's and 90's has appeared including Sylvester Stallone, Arnold Schwarzenegger, Bruce Willis, Jean-Claude Van Damme, Wesley Snipes, Harrison Ford, Dolph Lundgren, Chuck Norris and Mel Gibson. By my estimation the only "era" icons missing were Steven Seagal, Jackie Chan and Kurt Russell. Allegedly Seagal couldn't come to terms with series producer Avi Lerner, Jackie Chan wanted a substantial part alongside Stallone versus a cameo and Russell just wasn't interested in the throwback ensemble. Of course many a name pops up when fans are asked who they'd like to see added to the cast with guys like Carl Weathers and Michael Biehn coming up frequently. Weathers seemed like an obvious choice given his relationship with Stallone from the 4 Rocky films and his roles in 80's classics Predator alongside Arnold, Jesse Ventura and Sonny Landham as well as starring vehicle Action Jackson from Craig Baxley and Joel Silver. While Stallone would drop plenty of wish list names from Ben Kingsley, Sandra Bullock, Clint Eastwood to...Ryan Seacrest? Weathers never came up. Rumors of a rift between the two men dates back to 2006's Rocky Balboa regarding Weathers' ultimate non-involvement in the successful franchise chapter that saw archive footage of opponents Mr. T and Dolph Lundgren but not Weathers' seminal Apollo Creed. Being around Stallone's age it would have been great to see Weathers come in as some kind of liaison or ally in a key scene and saddled with most of the dialog as we know he's got charisma and the acting chops. Thus leaving the running, grunting and shooting to back up Expendables staples Dolph, Randy Couture and Terry Crews. Biehn is known to action and genre fans thanks to his work in James Cameron's The Terminator and Aliens which saw him running around with a shotgun in hand before cementing his action chops with flicks like Navy Seals, Tombstone and The Rock. In a 2011 interview, Stallone mulled over Michaels Biehn and Pare, citing them as guys who had their moment but fallen on hard times and deserved another shot. Biehn quickly responded on Facebook stating he didn't need Stallone to revive his career as he had producer Ross Dinerstein. At the time, there was no follow up on to what elicited Biehn's seemingly terse response and neither Biehn nor Pare ended up in The Expendables II. Biehn has kept busy going into business with wife Jennifer Blanc as they've successfully produced a staggering 14 low budget genre films in the last 4 years. Dinerstein has also kept prolific with his name on no less than a dozen films since working with Biehn on 2011's The Divide. 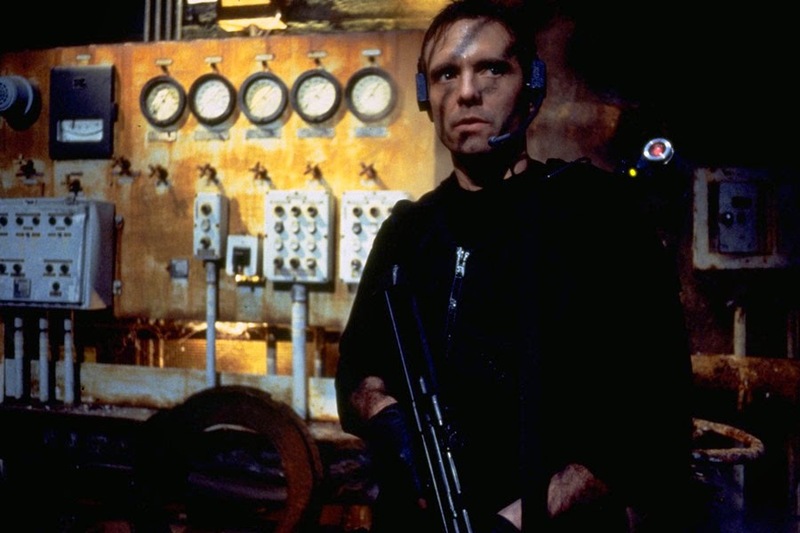 With Biehn being in his 50's, he could have easily opted for a "suit" role as some kind of government agent, evil businessman or been thrown a machine gun and gone to work. Thanks to 2014's Emerald City Comicon, we can shed a little more light on what could have been a great addition to The Expendables franchise. When asked about his possible involvement, Biehn responded with a flat "no". First referring to Inferno, the making of The Expendables which follows the highs and lows of the action film that saw Stallone writing, directing and starring while also doing his own stunts, getting shingles, injuring his thumb, detaching a tendon in his shoulder and having his neck broken thus earning Biehn's respect forever. But being financially stable and citing a lack of character development, Biehn saw no reason to take a role running and yelling while firing a gun as much of the ever growing cast had been relegated to doing. Although The Biehn would love to meet Stallone, being away from his family (series has filmed in Brazil and Bulgaria) to make a few bucks for a lackluster part just wasn't that enticing.